Anthony Pile sets out to show that business opportunities abound in developing Africa, and not just because the cost of labour is relatively low. Indeed, he argues that, despite some local difficulties, by using a culturally and socially sensitive business model things can often be done better there. His 15-year experience with a fresh-cut fruit business demonstrates how local raw materials can be taken to the final product stage in Africa, rather than Europe or elsewhere, profitably. The idea of fresh-cutting fruit for retailers was not conceived until 1990, when a British fruit-juicing company with a spare factory sought ideas of what to do profitably with their new-found space. A high-end food retailer, Marks and Spencer, encouraged the introduction of a basic mix of cheap cut fruit, preserved in syrup. But, as the product was mediocre at best, growth was slow, and no other European retailer showed much interest. However, cutting fruit at source, in Africa, appealed as a way of kick-starting this new industry. Marks and Spencer tried it in cooperation with Spring Valley in South Africa, but because output was restricted to seasonal availability, Spring Valley was unable to meet year round demand. Blue Skies started in 1997 with the idea that European consumers and Ghanaian workers could mutually benefit were African pineapples harvested, cut and flown to market the same day. Potential benefits were large: proximity to the farms and short transport times allowed fruit to be harvested when fully ripe, making it fresher and tastier for the consumer. By cutting pineapples on the spot, waste could remain in the producing country, thereby reducing transport weight and, through recycling, provide cheap fertilizer and animal feed for farmers. No-one in Ghana had produced export quality pineapple year round, but some farmers were sure it could work. Blue Skies set up a factory with 35 trained staff and, working with 20 smallholder farmers, began cutting pineapple into various shapes for Sainsbury’s in Britain. Within 12 months not only had the pineapple successfully come into our factory each and every calendar month, but the logistics had worked to everyone’s satisfaction, proving that it really was possible to harvest, cut and despatch fruit by air and deliver the freshest tropical fruit consumers had ever encountered. Blue Skies found coping with the surprisingly large demand consistently, while continuing to grow, exciting and rewarding. Now, 15 years on and despite the world economic crisis, Blue Skies has factories in Britain, Brazil, Egypt, Senegal and South Africa, but its largest is still in Ghana, processing 240 tonnes of pineapple and 160 tonnes of mango a week. Together, about 3,000 people are serving 13 retailers, mainly in Europe. Blue Skies is founded as a Joint Effort Enterprise (JEE), a model built on three pillars: a diverse society, a culture of respect and a drive for profit but not at the expense of the other elements. From the very start, while decidedly a for-profit, Blue Skies is an organization built on a culture of respect and fairness for all. The joint effort refers to flat hierarchies; real internal dialogue; no favouritism, for example managers do not get cars; and, ultimately, trust. We aim to work with the local and national communities, acknowledging their mutual inter-dependence – and as one of the biggest employers in the community, we contribute to local development, but we can only employ more people and grow if we retain our focus on profit. The effort invested in building team spirit and corporate culture in the spirit of the JEE principle paid off when local unions called for an inspection of work conditions by neutral organizations and Blue Skies’ UK partners in order to make sure there was no “distinctive space” between employees and management. As these detailed inspections did not find any cause for concern, they helped remove doubts. Today, not only are some of our employees, who enjoy salaries of about three times the minimum wage, members of internally organized unions, but the management team has gained in confidence. While sourcing, overcoming seasonality, logistics for fast delivery and partnering with European retailers were all essential for our business, Blue Skies also faced more general challenges. Here in Africa, it takes time to establish the necessary trust to build durable partnerships, while western business often establish such partnerships before setting up the business. Other challenges we faced included land tenure issues, poor bank support and corruption that can only be dealt with through a strong corporate culture. 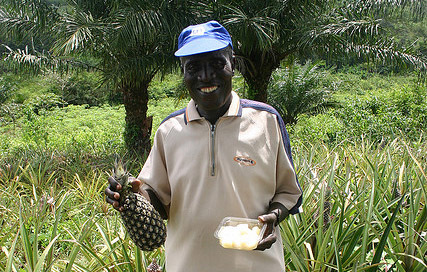 Blue Skies was also affected by the Ghanaian government’s farming policy: foreign pineapple varieties with higher yields and a nice yellow colour had raised hopes and farmers were actively incentivised to abandon their traditional varieties whose pale colour made them less attractive to European shoppers. However, the hastily introduced new crop proved unsuitable for Ghana, resulting in Blue Skies facing serious supply ruptures over an extended period. But now, Blue Skies and its partners are establishing a plan to reintroduce small-scale pineapple farming appropriate to Ghanaian producers. In the face of the European recession, British retailers aggressively vied for market share, demanding supplier support, sourcing through highly volatile electronic auctions and refusing to entertain price increases. Additionally, Blue Skies faced increased competition from new producers including European manufacturers using machinery, justified, paradoxically, by the volumes Blue Skies had developed. The Central American pineapple was central to this competition. Costa Rican pineapples are grown on large-scale industrial plantations, which are much more cost-efficient than Ghanaian smallholder production. Moreover, they are shipped to Europe, much cheaper than Blue Skies’ air-freighting. So with low labour costs on largely mechanized production lines and cheap raw materials, Blue Skies’ competitors in Europe, including Del Monte, thrived. Our answer took a few years, but it was production in Africa that proved essential, as it ensured both product quality and ethical superiority. Latin American fruit might be cheap, but Ghanaian Smooth Cayenne pineapples are tastier and, as they are harvested, processed and delivered in just 24 hours, fresher. That helped build customer loyalty. Then, Blue Skies’ partnered with two up-market supermarket chains to create the Blue Skies Foundation. This allowed the retailers maintain a price difference by communicating that our fruit was ethically grown and that its sale helped small farmers in a developing African country. Effectively, Blue Skies has blossomed because it is centred in developing Africa. By retaining its point of difference, coining the expression “fresh from harvest”, we have retained some pineapple business and a good portion of mango and coconut volume. The indirect economic benefits of the development of Blue Skies may now have outstripped direct ones. By paying a multiple of the minimum wage Blue Skies provides economic security to its employees, while our farmers are given year-long contracts, enabling them to plan and, vitally, to learn how to improve quality. Our arrival has also created new markets and fuelled economic activity around the factory and plantations, as other businesses developed to meet a regular demand for clothes to be made and washed, vehicles driven and repaired, people screened and medically cared for, and fruit waste removed, composted or fed to livestock. New skills acquired around the factory have also supported new industries in the area. Today, the local town, Nsawam, which had no industry when Blue Skies started in 1998, is now a bustling, commercial and well-organised metropolis with new buildings and renovated shops. Blue Skies has already shown that it could add to the pineapple experience by cutting mango, papaya, coconut and passion fruit and charge a price that generates enough revenue for strong business growth. Can the Blue Skies model be expanded beyond Ghana? Not only can it, it actually has. Today, Blue Skies has production facilities in Egypt, Senegal and South Africa, amongst others. But can the Blue Skies model be replicated and adapted to other industrial and agribusiness applications? Of course it can, but why it has not caught on remains a mystery. We would argue that there are the raw materials aplenty simply waiting to be processed to the final stage required by the consumer. Rubber plantations could give us car tyres or footwear; coconut husks could be converted to door-mats; cocoa and cattle are needed for milk chocolate; minerals and metals are required for so many finished products. There are so many ideas and opportunities. Industrialized nations may resist competition from Africa, but costs and commercial advantages tend to win the day and developing Africa has those very advantages, particularly cheap labour and locally available inputs implying important savings in transport costs – assuming that it is cheaper to ship processed products than raw materials. Blue Skies has created a small market in Ghana, yet this is not being addressed by local producers. Unfortunately, our management team, after 15 years, still need to import cardboard, labels, plastic packaging, chemicals, protective clothing, machinery, processing equipment, mechanical skills and even simple accounting advice when these, and so much more, could be home grown. Is it something to do with the political mindset? The four-year democratic cycle is hardly long enough for a government to do “something impressive”, catch the eye of the voter and be re-elected. The “something impressive” should be about laying the foundations for thriving agribusiness and exports of quality finished products or investing in an energy sector that takes many years to develop. At Blue Skies we believe that JEE may well be an answer. 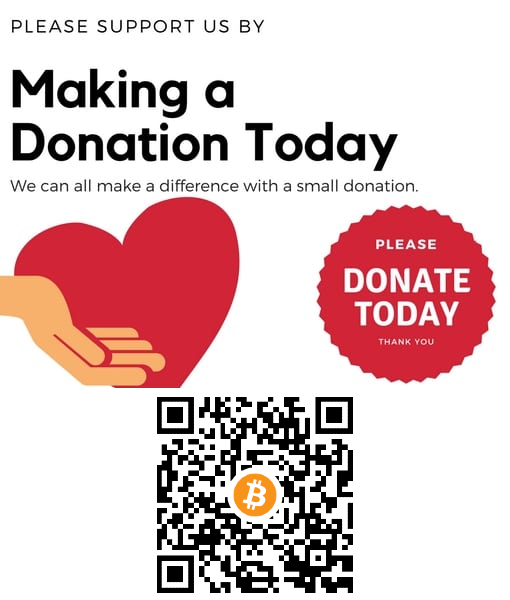 Our model is based on working with a diversity of cultures, colours, genders, ages and creeds; a caring society; and an unashamed pursuit of a fair profit. The model calls for us to work as one, bound by a purpose rather than geography. Simply put, if an entrepreneur from wherever has the experience and motivation, then business opportunities in Africa are abundant.